"Our ongoing progress together is helping patients with myeloma, as well as patients with breast cancer, lung cancer, colon cancer, ovarian cancer, and many other cancers. There two major areas where we are as a PPP TEAM making great strides. First is the area of precision medicine-defining the abnormalities in cancer cells and in their environment which allow tumor cells to grow and survive in order to develop selective targeted new medicines. Since abnormal circuits are common to many cancers, new selective targeted medicines will be more effective, have fewer side effects, and help patients with a broad range of cancers." Happy to support you Terry towards this great cause. Thanks for getting out there & doing it. 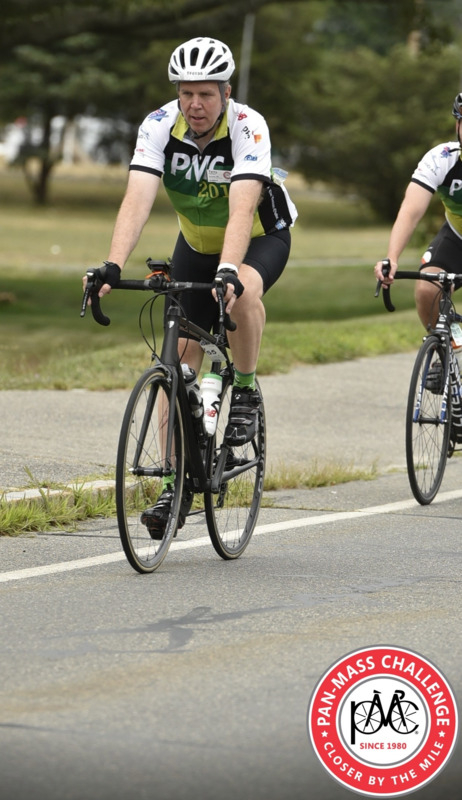 Thanks for Riding for a Great Cause! Way to go, Terry!!! Good luck on your ride. Big Goal Terry ! Thanks for Riding !